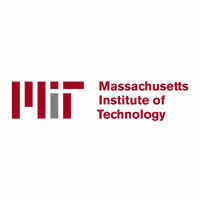 O Instituto de Tecnologia de Massachusetts (em inglês, Massachusetts Institute of Technology, MIT) é um centro universitário de educação e pesquisa privado localizado em Cambridge, Massachusetts, nos Estados Unidos. É considerado um dos melhores do mundo. We have developed a new Bayesian framework for visual object recognition which is based on the insight that images of objects can be modeled as a conjunction of local features. This framework can be used to both derive an object recognition algorithm and an algorithm for learning the features themselves. The overall approach, called complex feature recognition or CFR, is unique for several reasons: it is broadly applicable to a wide range of object types, it makes constructing object models easy, it is capable of identifying either the class or the identity of an object, and it is computationally efficient--requiring time proportional to the size of the image. Instead of a single simple feature such as an edge, CFR uses a large set of complex features that are learned from experience with model objects. The response of a single complex feature contains much more class information than does a single edge. This significantly reduces the number of possible correspondences between the model and the image. In addition, CFR takes advantage of a type of image processing called 'oriented energy'. Oriented energy is used to efficiently pre-process the image to eliminate some of the difficulties associated with changes in lighting and pose. Singer, Neil C.; Seering, Warren P.
The Toolkit is a family of hardware modules (processors, memory, interconnect, and input-output devices) and a collection of software modules (compilers, simulators, scientific libraries, and high-level front ends) from which high-performance special-purpose computers can be easily configured and programmed. The hardware modules are intended to be standard, reusable parts. These are combined by means of a user- reconfigurable, static interconnect technology. T he Toolkit's software support, based on n ovel compilation techniques, produces e xtremely high- performance numerical code from high-level language input, and will eventually automatically configure hardware modules for particular applications. This paper presents techniques that actively exploit chaotic behavior to accomplish otherwise-impossible control tasks. The state space is mapped by numerical integration at different system parameter values and trajectory segments from several of these maps are automatically combined into a path between the desired system states. A fine-grained search and high computational accuracy are required to locate appropriate trajectory segments, piece them together and cause the system to follow this composite path. The sensitivity of a chaotic system's state-space topology to the parameters of its equations and of its trajectories to the initial conditions make this approach rewarding in spite of its computational demands. Jones, William J.; Meyer, James W.
Programming reliable behavior on a large mesh network composed of unreliable parts is difficult. Amorphous Medium Language addresses this problem by abstracting robustness and networking issues away from the programmer via language of geometric primitives and homeostasis maintenance.AML is designed to operate on a high diameter network composed of thousands to billions of nodes, and does not assume coordinate, naming, or routing services. Computational processes are distributed through geometric regions of the space approximated by the network and specify behavior in terms of homeostasis conditions and actions to betaken when homeostasis is violated.AML programs are compiled for local execution using previously developed amorphous computing primitives which provide robustness against ongoing failures and joins and localize the impact of changes in topology. I show some examples of how AML allows complex robust behavior to be expressed in simple programs and some preliminary results from simulation. Jiang, H.; Ren, L.; Hansman, R. J. This paper describes an analysis of future air cargo demand in China and its implications for system infrastructure. By extrapolating current trends and evaluating government policies, China is projected to achieve sustained economic development over the next 20 years. Based on this assumption, a forecast for future air cargo demand is made for the period through 2020 using econometric methods. The forecast projects air cargo traffic growth at 11.2% per annum, expanding more than seven fold by 2020 – resulting in an expected 27 million tonnes cargo throughput originating from Chinese airports. A baseline forecast for the cargo throughput at the major hubs and large airports in mainland China, Hong Kong and Taiwan is presented. ; The authors would like to thank Mr. Boxue Wang at Aviation Industry Development Research Center of China for providing some 2002 CAAC data and R. Dixon Speas Fellowship for partially supporting the research. Book Review of G.A. Cohen, "Marx's Theory of History, A Defence".